She brought you into this world. She cared for you and made sure you got everything you needed in life…and she was the BOSS. When you were growing up she set the rules and controlled your life – and as you aged into adulthood, she still managed to be overbearing. The years have passed, and now you are taking care of her. Problem is, the dominant parent who limited your freedom as a kid has now become even more challenging as she struggles with her own limitations like memory loss, pain or illness. A typical scenario is: you’re already overwhelmed, tired and irritated…but you show up to help her anyway, and then she gets grumpy and complains that you’re interfering in her life, or she doesn’t like how you’re doing something! You feel like it doesn’t matter what you do, or how hard you try – you’ll never please her. But you don’t have any choice, because she needs your help to get by! Is this your life? Are you caring for someone who pushes all your buttons…and then actually resents needing – or accepting – the help you provide?! You are not alone! In the meantime, here’s the first – and best – strategy for neutralizing much of the struggle you’re having with your overbearing, unappreciative parent…. When you say “no” you are setting a boundary for what is and isn’t acceptable, convenient or appealing to you. You are also being deeply authentic, and honoring yourself with a clear statement that your feelings and time matter. You are standing your ground. The first time you say it to an aging parent you may be breaking a life-long pattern of giving in or acquiescing, out of a need to finally set a healthy boundary for yourself. Unfortunately, both of you will probably feel a lot of stress when you do it! Think about it: were you taught that other people’s needs and feelings should always be considered first? That you will be perceived as rude, mean or inconsiderate if you say “no” to any request, no matter how unreasonable? That you can only say “no” if you have a really good and legitimate reason? Many of us struggle with setting boundaries, especially at critical times when we are feeling burned-out or overwhelmed. But know that setting and maintaining boundaries is not about rejecting or refusing Mom or others. It’s about taking care of YOU. It doesn’t mean you stop taking care of the others in your life. This realization in itself is a huge shift that can free you from a lot of stress. STOP! BREATHE! FOCUS! What is your desired outcome? (Remember: By definition, a desired outcome is something you want, not something you don’t want, and it’s something over which you have control.) Identify both the boundary you want to establish and the deeper, underlying need it will fulfill for you. 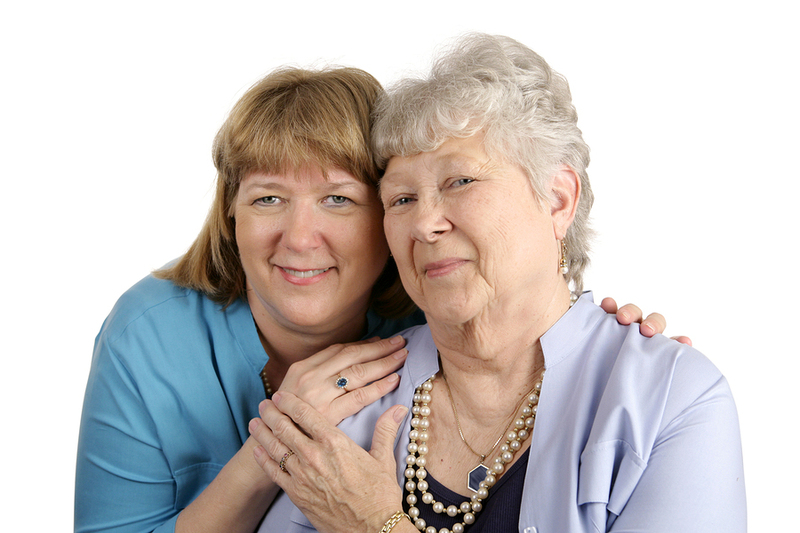 Keep in mind that the happier, healthier and more fulfilled you are, the better care you will be able to provide for your mom, and the more positive you will feel about doing it! Notice what happens when you want to say “no.”Do you tense up? Start having negative thoughts about yourself? Feel defensive? Are you fearful or worried about reactions you might get? You may be surprised at your own inner turmoil whenever you attempt saying this simple word! If they get upset take a slow, deep breath – then say without emotion, “My needs and feelings are as important to me as your needs and feelings are to you.” Take another deep breath. 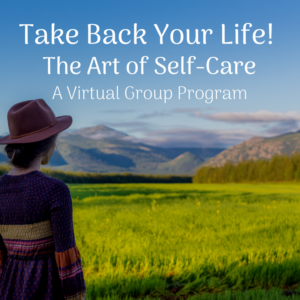 Breathing releases the tension that accompanies new, seemingly “risky” behaviors– like standing up for your own needs when you’re not used to doing so. Do not Explain, Defend or Justify! Do your best not to offer an “excuse.” That will trigger your feelings of defensiveness, and leave an opening for your parent to “argue” with you. Saying “no“ is the first and most important way to take care of yourself. 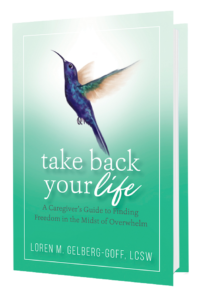 You need a certain amount of freedom if you’re going to be a healthy, stress-free and compassionate caregiver. So practice it often! Remember that by treating yourself respectfully, you inherently give permission to those around you (including Mom!) to do the same. There are many more life-changing strategies, techniques, and tools where that came from! For some laser-focused insight into your particular circumstances, coupled with the loving, caring support of someone who has been in the same situation as you, please join me for that complimentary 20-minute phone session. No strings attached! We’ll identify some tips and strategies that may allow you to enjoy a less aggravated, more relaxed second half of summer!